A tiny, rice-sized microchip changed everything for Lola and the people she loves. When the wiggly Boston Terrier was still just a wobbly puppy, she escaped beneath a fence from the South Florida home she shared with Julie Arango and daughter Celina. After days of searching turned to weeks and months of waiting for her to return, the little dog's humans had all but given up hope of ever seeing her again. ... Or trying her best to, anyway. But such a touching scene was only made possible thanks to the fact that Lola had been implanted with a microchip containing the info on her origins. 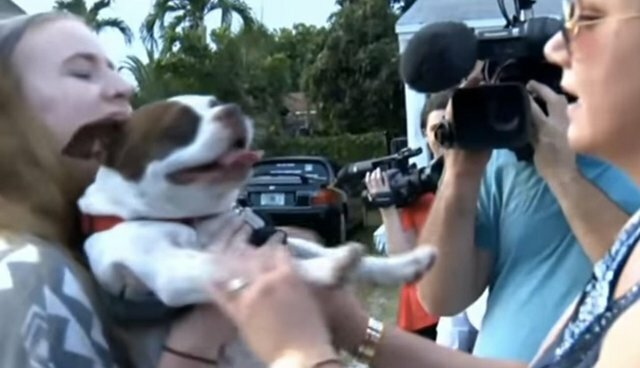 As CBS Miami reports, Lola was advertised as a "free pet" online where she caught the attention of Linda Gall, who decided to adopt the dog. It was upon taking the new pet to the vet that Gall learned of Lola's true identity. 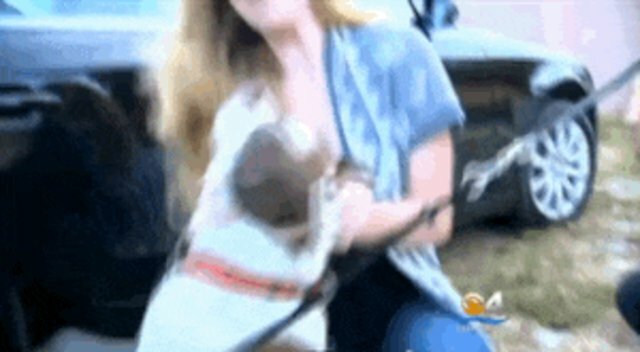 She then contacted the dog's rightful family and arranged for her safe return.